As the green building movement continues to gain momentum across the industry, many manufacturers and roofing contractors are adding a growing number of sustainable products and practices to their marketplace offerings. These solutions range from reflective roofing and insulation to solar panels and high-performance ventilation. One sustainable solution that has shown significant growth in recent years is asphalt shingle recycling, with recycling tear-off shingles in some form now active in 50 major markets across the United States. This means shingle recycling can be one sustainable solution that is easy to implement and market to customers across the industry. The durability, reliability and economical performance of asphalt shingles makes them a popular roofing material. 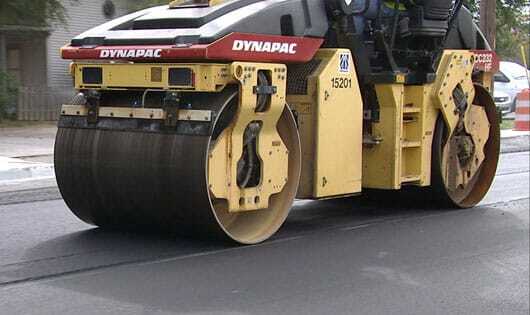 However, even the long life cycle of an asphalt shingle eventually comes to an end. Traditionally, many contractors utilize the old fashion “green practice” of re-covering over an existing layer of shingle. This approach only serves to delay material going to the landfill. When it is time to replace a roof and dispose of the old materials, contractors now have more convenient, cost-effective options available to increase their ability to recycle and reduce waste. Given the fact that asphalt roofing shingles represent 80 percent of the marketplace, this presents a powerful opportunity for the roofing industry to help divert the tear-off materials from landfills and encourage recycling for its use in valuable applications like road construction and repair. According to the Northeast Recycling Council (NERC), it is estimated that 11 million tons of asphalt shingle scrap from tear-offs and manufacturing is produced annually in the U.S. Every ton of shingles that is recycled is the equivalent to saving one barrel of oil in the form of asphalt from going to the landfill. As a result, finding a sustainable end-of-life recycling option for torn-off asphalt shingles plays an important role in providing construction professionals and consumers an alternative to land filling and for the reuse of materials. Recycled asphalt shingles provide valuable materials such as asphalt and aggregate that can be used in road construction or maintenance. Increasingly across the U.S., state-level Department of Transportation offices are specifying that recycled asphalt shingles can be used in state-funded projects. As a result, paving contractors are willing to use a mix design with shingles in those specified locations, however, it is limited to only private and commercial work in other states without provisions. 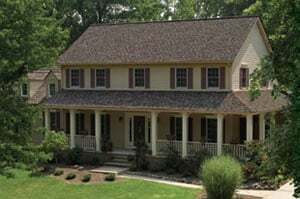 Recycling waste asphalt shingles is gaining momentum and contractors are leveraging shingle recycling services as a growth opportunity by promoting sustainable business practices to homeowners looking for green solutions. Many roofing contractors have found that offering a shingle recycling capability can directly influence contractor selection and ultimately translate into more jobs. In addition to providing an eco-friendly alternative to disposing of old shingles, recycling asphalt shingles is a cost-effective alternative to landfill disposal or other removal methods. The practice of properly removing and recycling tear-off asphalt shingles can also enable contractors to earn additional credits under the U.S. Green Building Council’s LEED rating program, and other similar certification programs for their building-owner customers. The growing interest and expansion of shingle recycling has translated into recycling coverage accessible to approximately 30 percent of the U.S. population. There continues to be a push to expand dedicated, convenient drop-off centers that will recycle and process shingle tear-offs operated by credible companies such as Heritage Environmental Services, Inc. These locations help to make recycling asphalt shingles convenient by offering a one-stop recycling service with hauling capabilities and drop-off locations that are easy and accessible to use. The momentum behind shingle recycling is also evidenced by a growing number of online resources. Manufacturers, contractors and customers are benefiting from easy access to online directories such as Earth911.com that enhance and support companies’ responsible waste initiatives by gathering, distributing and analyzing localized recycling information to assist with product end-of-life solutions. Earth911.com’s Recycling Directory is the largest and most accurate in the nation, boasting more than one million recycling and disposal resources for hundreds of products. Online resources like this also enable customers to easily find recyclers who provide shingle recycling services. Manufacturers are also involved with helping to expand shingle recycling across the country. The support at the manufacturer level for recycling ranges from sponsoring various organizations to initiating programs that identify legitimate recyclers for roofing contractors to use and certifying roofers who use them. One major manufacturer recognizes the importance of recycling asphalt shingles and created a specialized program which is designed to encourage roofing contractors to practice sustainable building practices by providing support throughout the build process. To further monitor and support the advancement of shingle recycling within the industry, the Asphalt Roofing Manufacturers Association (ARMA) has recently developed a task force on Post Consumer Shingle Recycling. As an extension of this commitment, ARMA also joined other industry leaders to sponsor The 5th Asphalt Shingle Recycling Forum. This annual forum brings the entire supply chain together to address and solve the challenges involved with advancing shingle recycling, ranging from illegitimate recyclers not following protocol for obtaining permits to ensuring that proper sampling protocols on the material across the market are being adhered. Fortunately these challenges represent nothing more than a speed bump on the newly paved road using recycled asphalt shingles. Through shingle recycling, roofing manufacturers and contractors have an important opportunity to lead the industry in making a significant impact on sustainable practices. Thanks to advancements in recent years, shingle recycling represents an important contribution to sustainability in construction practices as well as green building objectives.